Ziv Cooper is an artist who works primarily in oil paints and watercolors. 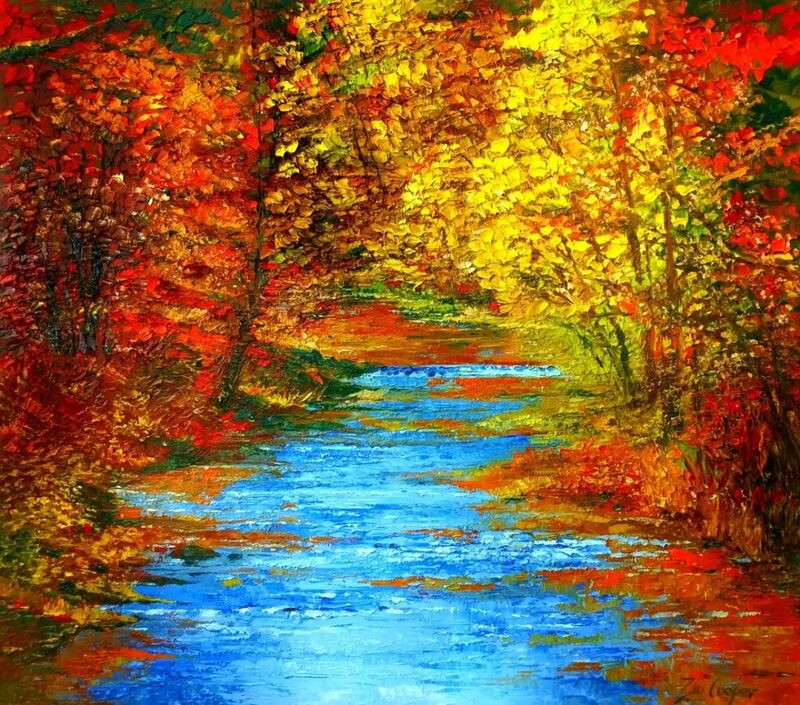 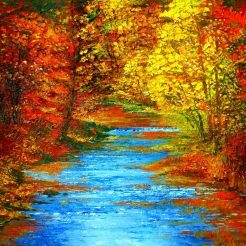 He often uses bold colors and emotive tableau’s in a post-expressionist manner. 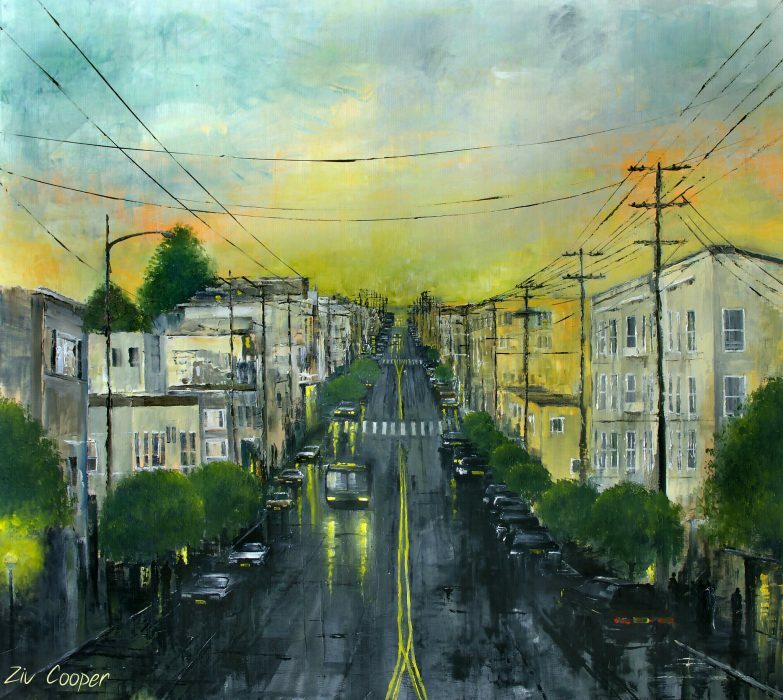 As an artist and architecture graduate, Cooper is highly influenced by the shapes and geometry of structures. 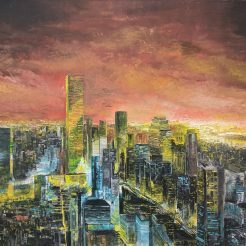 These mixtures of surface, materials, and composition, as well as the relationship of light reflected in urban spaces, is his primary inspiration. Ziv Cooper currently lives and works in Rishon Le Zion, Israel. 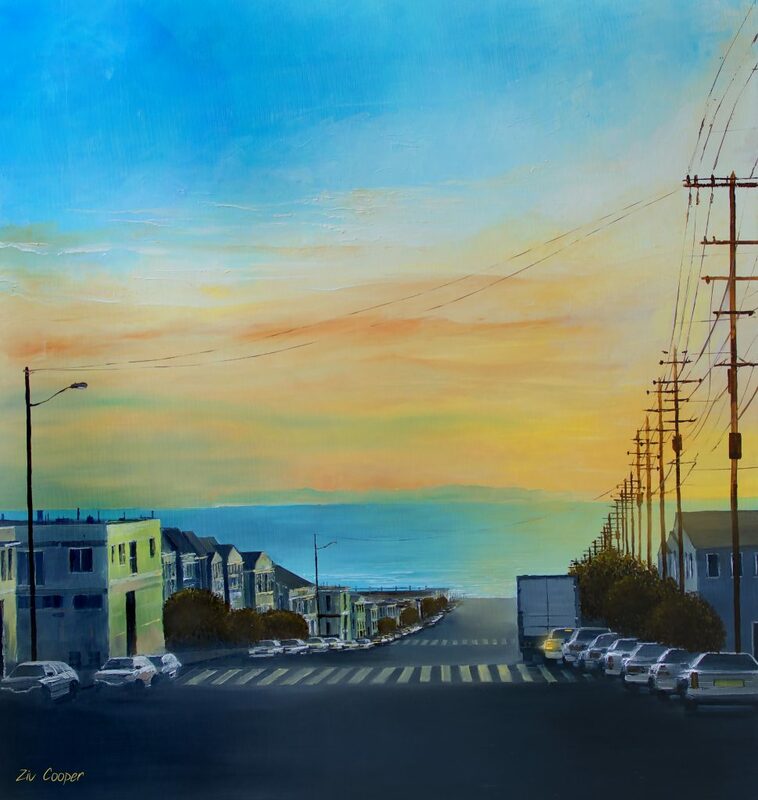 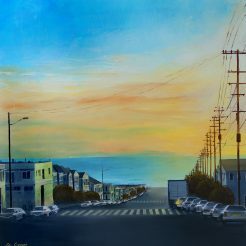 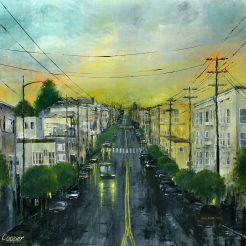 ​Cooper depicts scenes in every conceivable light, from blazing sunsets to romantic night scenes. 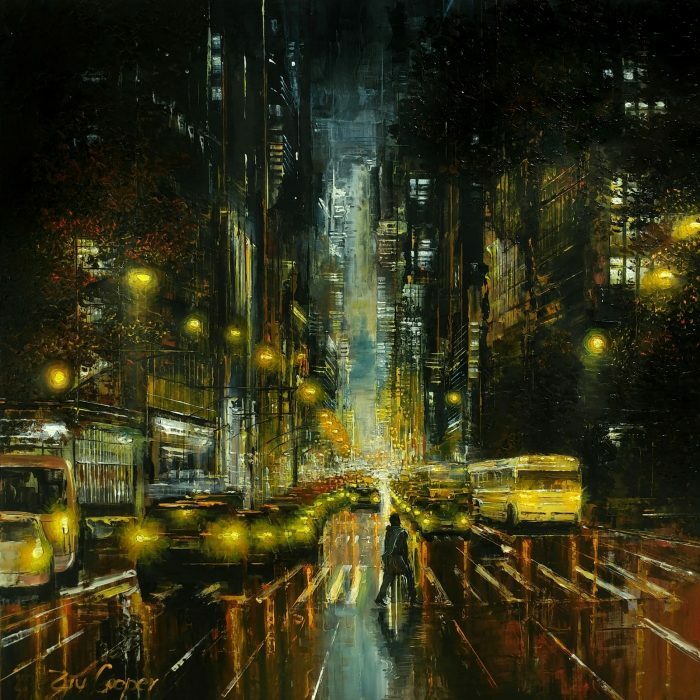 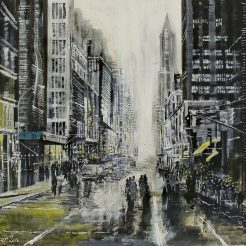 These atmospheric, iconic scenes are accentuated with a number of techniques: bold brushes, staining the surface, wiping away paint with solvents, and gritty marks made with an ink brayer. 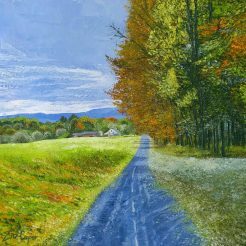 Depending on the time of day or conditions of weather, his palette may contain cool grays/blacks and steely blues, to bright bursts of pink, yellow, and orange. 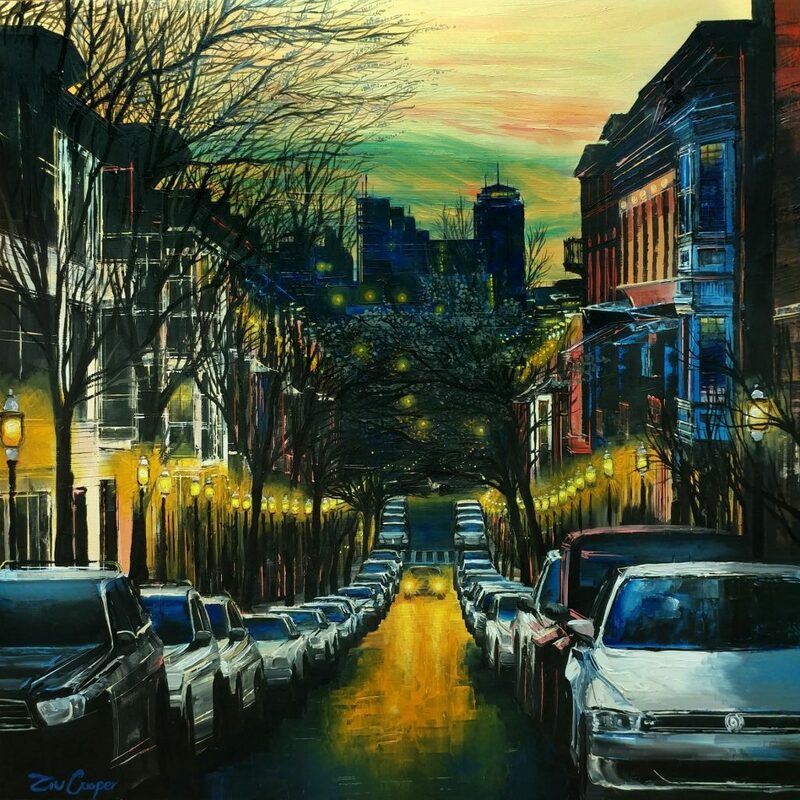 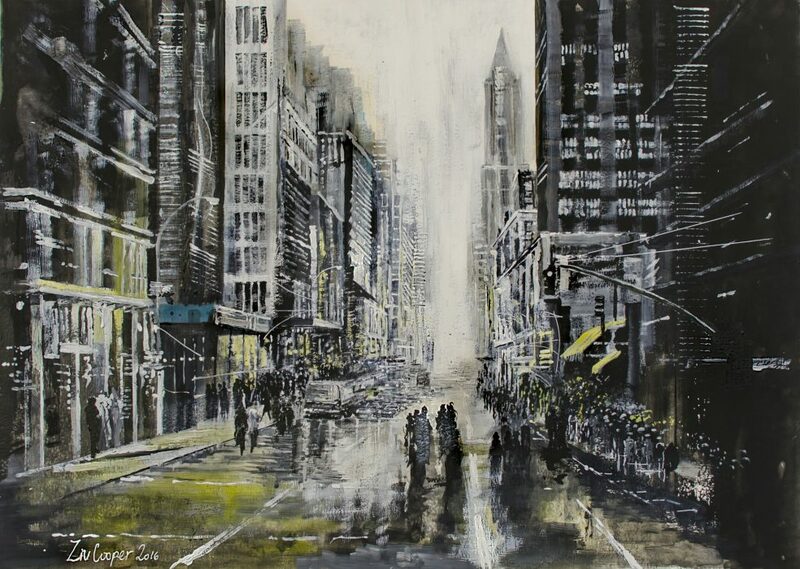 The artist’s cityscapes are rendered with intimate and dynamic expression. 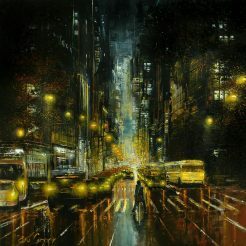 A number of unique compositions are inspired from the city’s intimate spaces/facades, where reflected buildings, street lamps colors and neon signs glitter in the rain. 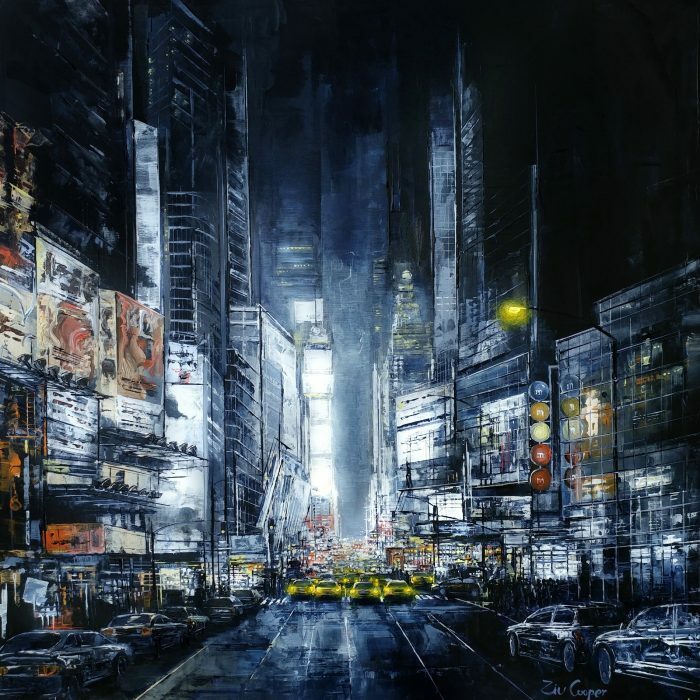 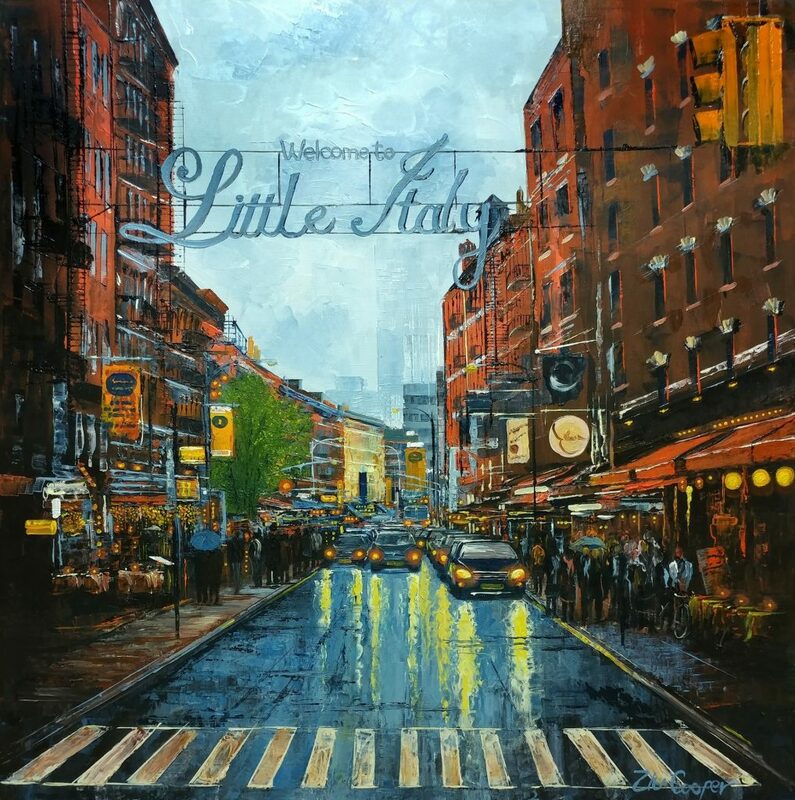 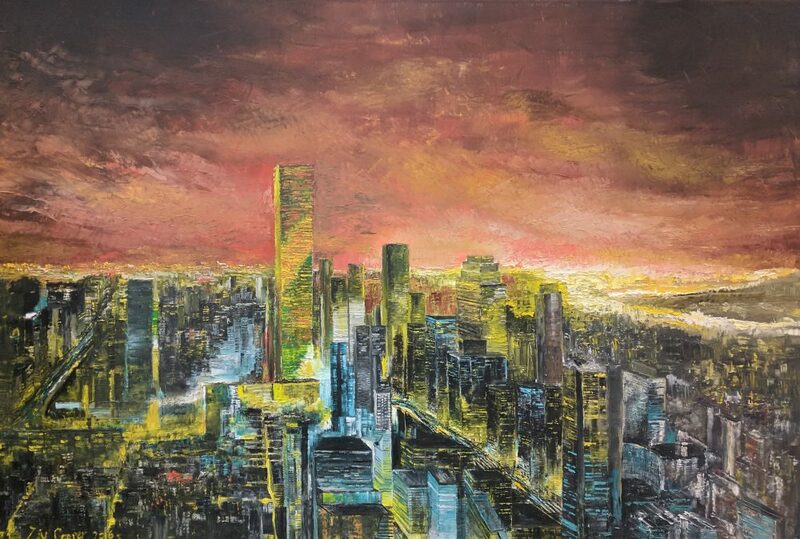 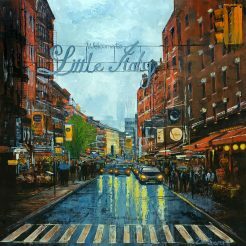 In each work, he integrates various techniques to portray a city with drama, mood, and personality that reflects the time and the unique situation at one special moment in a day. 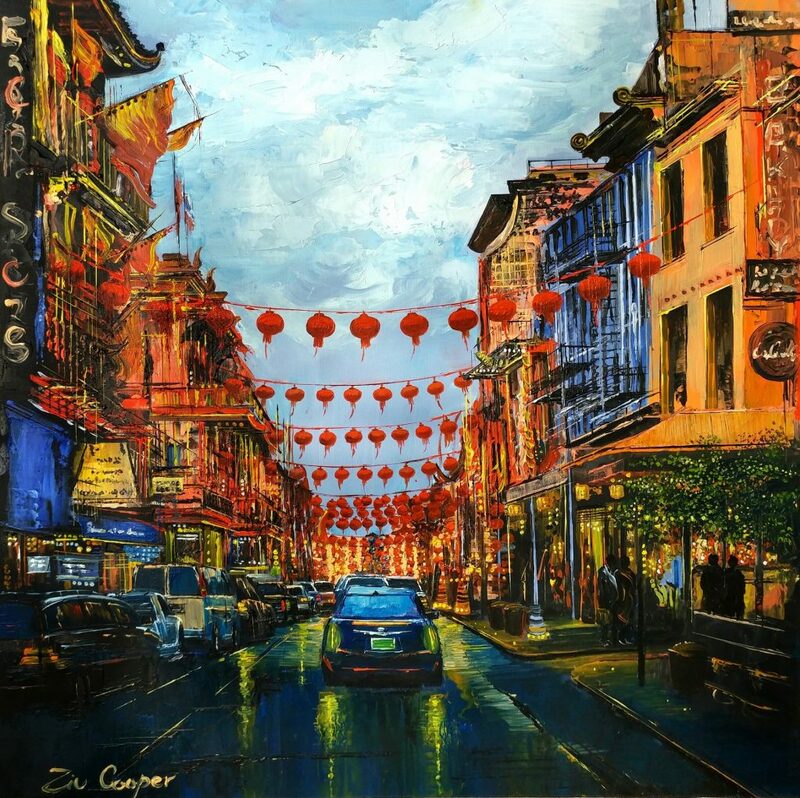 ​Ziv’s world travels have helped him to stretch his creative limits and employ his unique techniques to a variety of subjects. 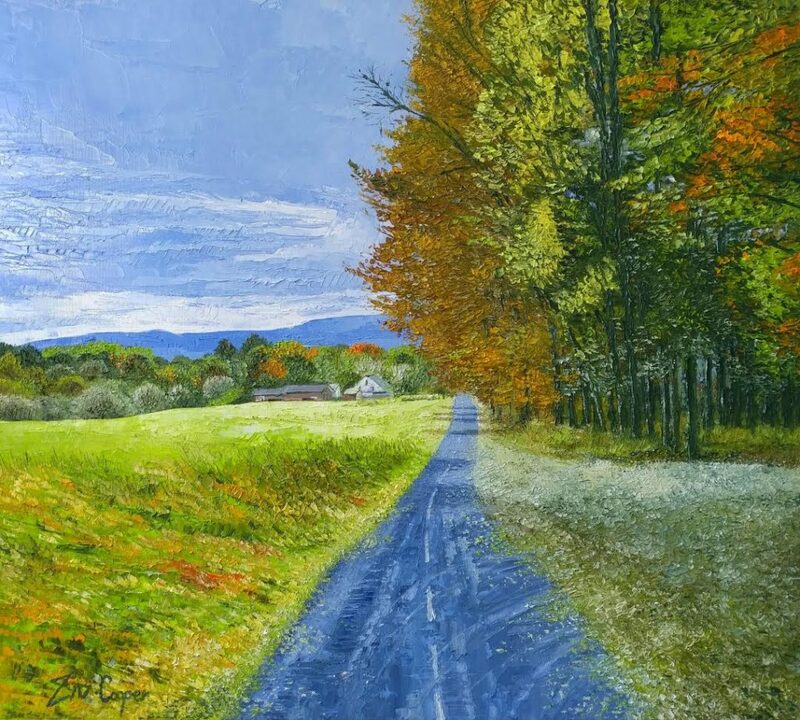 He expresses his artistic vision equally well through still life, floral, interior, and expressionist painting. 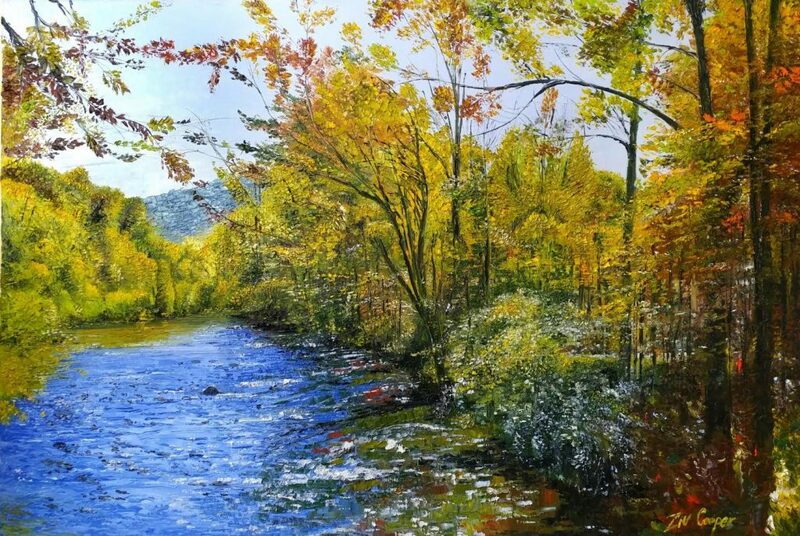 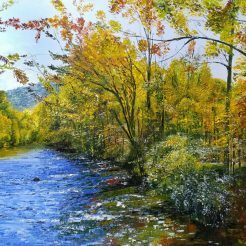 His brushwork is loose and expressive as well as gentle, precise and detailed.